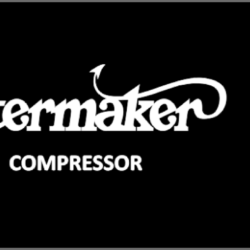 Like the 2019 TEC Award-nominated Bettermaker Mastering Equalizer and the rest of the award winning Bettermaker product line, the Bus Compressor combines a pristine stereo analog signal path (newsworthy in its own right!) with digital recall and parameter control, and/or automation from a cross-platform plug-in. In other words, Bettermaker users get all of the unmatched sonics of a boutique analog signal path with all of the convenience of a plug-in. The Bettermaker Bus Compressor is designed for critical tracking, mixing, and mastering work. Think of it as an awesome stereo analog compressor first and foremost, one that’s in league with all of the most revered manufacturers in the industry. Then add complete digital control of all parameters for instant recall from the front panel and recall and automation from our Bettermaker plug-in. That’s the Bettermaker template, and the new Bus Compressor adds a twist: modularity. 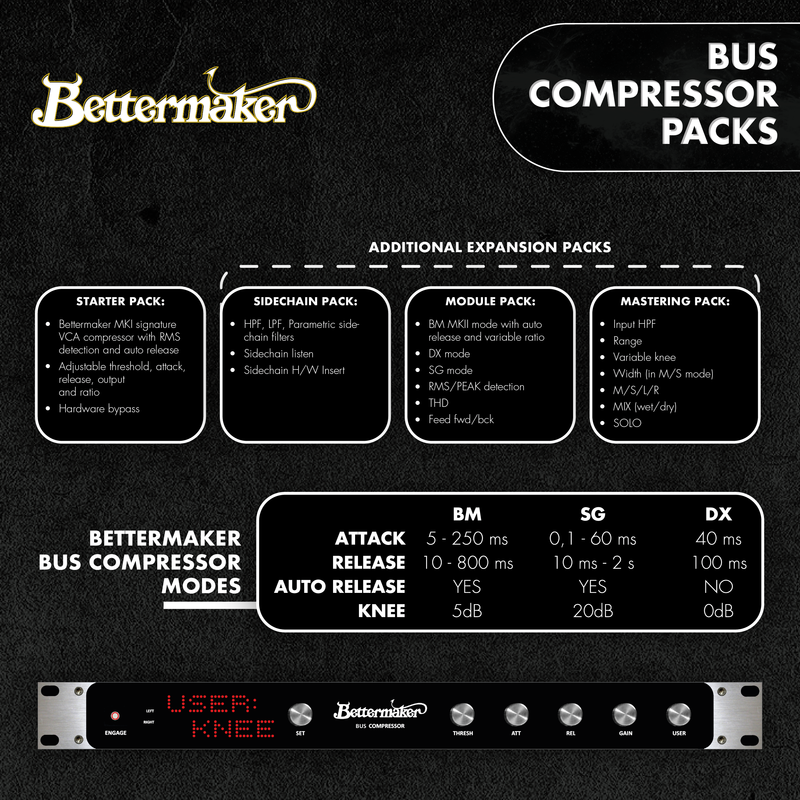 Besides the basic compression parameters like attack, release, threshold, ratio, etc., the Bus Compressor can be upgraded via expansion packs to perform more specialized functions like M/S, dry/wet mixing, high-pass sidechain filtering, different compressor modeling modes, and more. Buy only what you need, the compressor will grow with your business needs.